I’m just glad they decided to name it after the best Mario game. 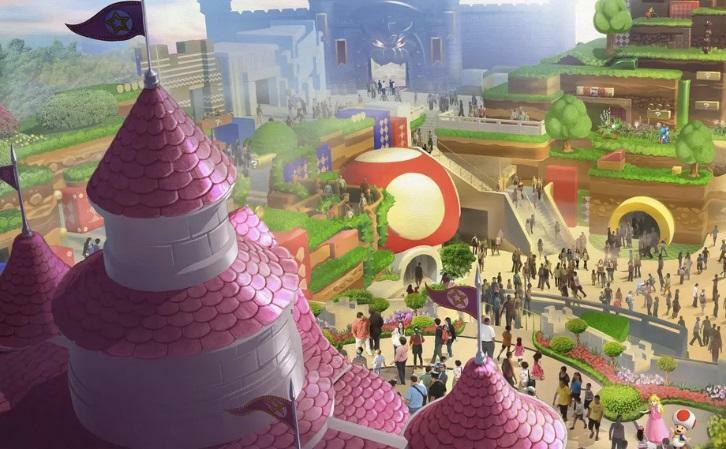 Following the opening of the Japanese park, Nintendo and Universal will team up to bring Mario, Luigi, and everyone to the Hollywood and Florida parks as well. The first teaser image shows two attractions of what are clearly Princess Peach’s Castle in the Mushroom Kingdom and Bowser’s Castle looming at the other end. A third attraction, which appears to be a standard Super Mario mountain stage, is also present. Universal Studios Japan is a lot of fun for a day trip, but it is infamous for how long its lines can be. Patience is a virtue in Japan, and people will sometimes wait for up to four or five hours for a single ride! Toss in that every child in Japan is going to want to come to this place… yeah, I might be able to get in and experience it by 2022 or 2026. Maybe I’ll have to wait until I relocate to the States.